When the twisted minds behind Cards Against Humanity asked fans to pitch in $15 to help the game company “save America,” almost any potential scenario was on the table. This is, after all, the brand that used $100,573 in donations to literally dig a hole in the ground. 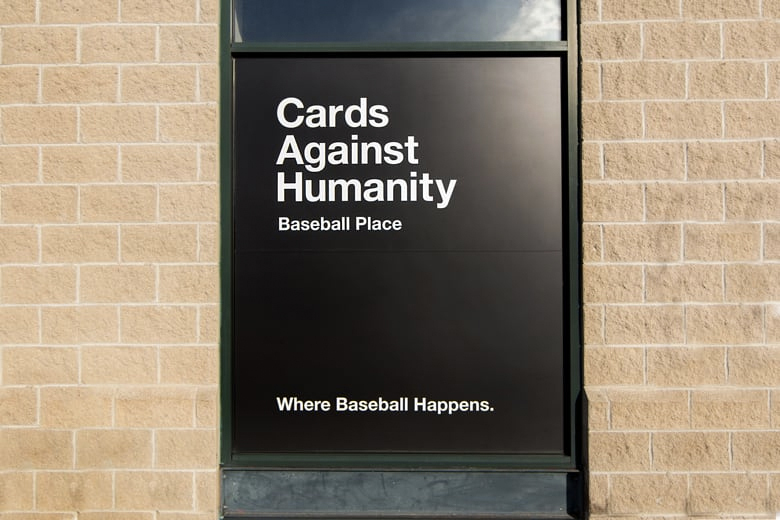 But this time around, the “Cards Against Humanity Saves America” campaign has given fans a bit more for their money, and the impact could be felt for a long while—perhaps at the U.S.-Mexico border where the brand bought land to disrupt President Trump’s proposed wall, but almost certainly in Joliet, Illinois. On a new site called Cards Against Humanity Saves Baseball, you can see photos from the stadium or download a commemorative blueprint set. As with all things CAH, it’s hard to tell how real this stunt is. The signage posted so far is temporary, though still attention-grabbing. 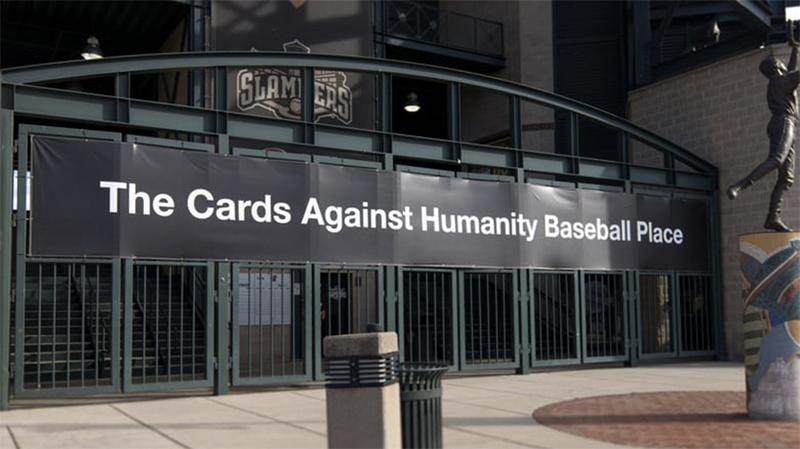 The Chicago Tribune reached out to to the Slammers’ office but only got an answering machine message requesting that all questions about Cards Against Humanity be directed to the game company.